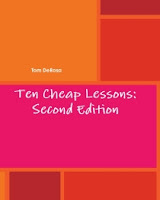 My first book Ten Cheap Lessons celebrated its 10th anniversary this year, and the follow-up Teaching is Not a Four Letter Word just celebrated its 8th. I have been humbled and amazed that even years after I stopped actively updating this blog, people have still been downloading or buying physical copies of both. As a thank you and as a Christmas gift, I've permanently reduced the price of all digital versions of the books to $1.99. The print versions of each book range from $5-7. These prices are available now through my Lulu bookstore and will be reflected on Amazon and other online outlets in the coming weeks. I always felt like October was the hardest part of the school year. The honeymoon period at the beginning of the school year always seemed to peter out around this time, as students would begin to push boundaries like never before. If your school is on a six week grading period like the ones in my region, the first report cards are just being sent out, and how your kids react to them affects their behavior. If they passed without much effort and are content with it, they might slack off and goof around because things seem too easy. If they failed and have a history of struggling in school, they might already view your class as a lost cause and try to give up. For students and teachers, this is often the middle of the longest uninterrupted period in your school calendar, with no holidays or special events to break things up until Thanksgiving. If you're already seeing the signs (or already struggling), I'm with you. 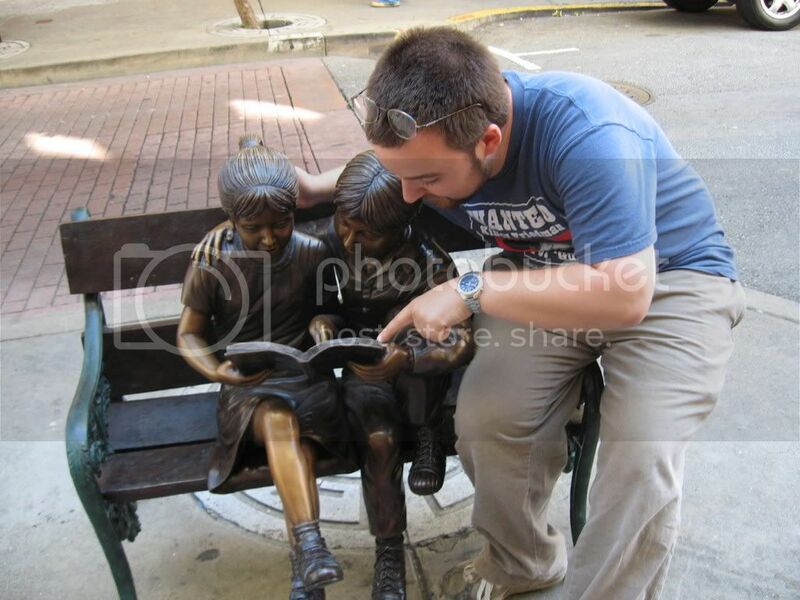 I've been there. My short book Teaching is Not a Four Letter Word: How to Stop Worrying and Love the Job was written for just this time of year. It's a simple, straightforward collection of the best advice I could give to new and struggling teachers, and I believe you'll find help to get you through October and beyond. It's available as a paperback, PDF or eBook from Lulu or as a Prime-eligible paperback or Kindle version on Amazon. It's very humbling to know that even though it's been three years since I shared something new on this blog that many, many educators are still discovering and rediscovering these resources. 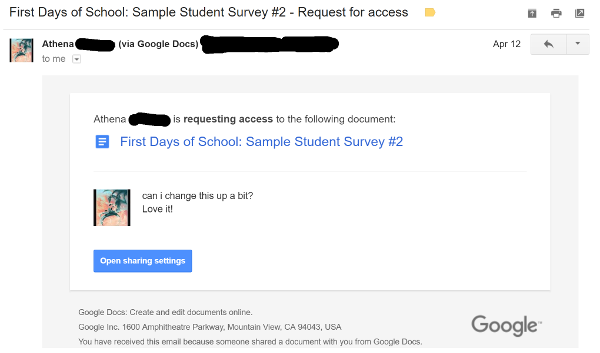 I get daily reminders of this in my inbox, in the form of requests for access to various Google Docs I have shared. I respond to each request, but sometimes the requests come from servers that don't allow incoming messages (some school districts still do this), and I also just wanted to post a reminder to save you the trouble of waiting. 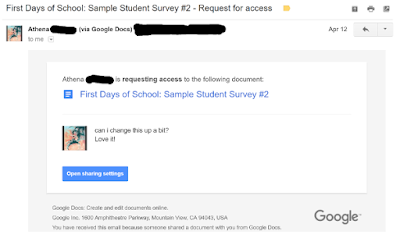 When you click "Share" on a Google Doc, you're asking for permission to edit the original document, not for your own copy to edit. Instead of clicking "Share", you can save or download a copy to edit as you like by going to File > Save a copy or File > Download as. The former saves a copy to your Google Docs, the latter lets you choose the format you like to save it on your hard drive. Again, thank you to the many educators who continue to find useful things among these many years of ideas and resources. I'm glad to be able to contribute something to this noble profession despite no longer being in the classroom. Best of luck with the rest of your school year! Aidil, a teacher from Singapore read about the number sense card game 123 Switch! that I shared a few years ago. Like any good teacher, he tried it out with his students and when it didn't work as planned, he adjusted the rules and game play to make it easier. If they are 2 diffferent coloured cards, the resulting card will take on the colour of the larger numbered card and its magnitude will be the difference of the 2 cards. Explaining the 123 Switch game to my students took quite a while and there was a lot to digest as the combinations were quite overwhelming for them as they had to work out a proper number sentence and then decide if they are to put 1, 2 or 3 cards down. Because my students couldn't grasp the rules of the games clearly, a few students lost interest in the game. After the lesson, I decided to see how I could simplify the game and involve more people. So I came up a variation with your game. Here is how it goes. You can start a game with 6-9 players. Deal out all the cards with the jokers included. The player to the dealers left will start. He will put a card down on the first box. Then he will then start of the new number sentence by putting down the first cards. If he does not have R3, he will choose a card from his pile and put it facing down in the third box. The fourth player will then see if he has R3 and so on. The person that completes the number sentence correctly collects all the cards on the game board and starts off a new number sentence. The game ends when a player has no more cards left over and the last pile is won by a player. The player with the most cards in hand wins. The game ends straightaway when a person collects all the Joker cards. The third card on the game board must be of magnitude 10 or lower. 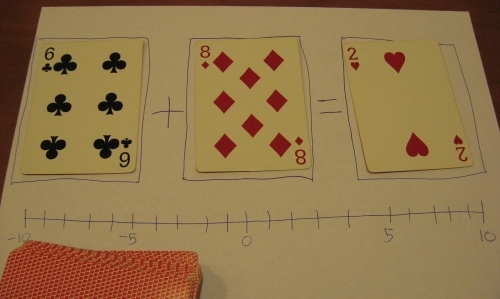 Find the original game here: I Want to Teach Forever: Easy New Number Sense Card Game: 123 Switch!. This mind-numbing video of professional development from Chicago has been making the rounds recently, and for me it brought back a flood of memories of awful PD my colleagues and I endured. Usually the least effective workshops were created and run internally, but that didn't necessarily mean external "experts" were much better. In this case, at least the expert is modeling the methods they're peddling (which would be fine if such methods were any good to begin with). I can remember several examples where new methods or technology were simply talked about, looked at and then we were left to find out how to apply them to our classrooms on our own. The resources from that kind of PD ended up stuffed into the back of a closet, never to be heard from again. Unfortunately, this is an example of why teachers are so disengaged from PD. When I would seek out relevant PD on my own, I was usually told that I couldn't take any professional days for them. Then the days that were built into the schedule were full of drivel like this. I would laugh when an administrator would try to teach us to be more engaging and to use exciting new methods by lecturing to us off of a PowerPoint for half a day. The absurdity of it all! Seek out your own PD and take the time you need to dive into it, if you can. If not, take advantage of what's increasingly available online (often for free) and find a way to fit it around whatever new acronym your school has chosen to follow this year. Your teaching will be better off because of it. Creativity and problem solving were the keys to my day-to-day life as a teacher, and I poured myself so fully into that life that I had little time or energy to put into anything else. In my life outside the classroom, I still have the need to create and put that drive into a variety of projects, including writing and playing music. I started that project over a year ago, but it took until recently for me to write anything about my time in the classroom. When the inspiration came, I wanted to tell the story of my students, not any particular one but an amalgam of those I met over the years. The result is this acoustic, country-tinged ballad entitled Janie's Song. Lyrics are below. At that age, there's no easy kind of change. I whispered "you can always trust in me"
"Nobody here would miss me if I died"
Improving the World of Educational Gaming [Kotaku] - I agree wholeheartedly with the author here--the simplest improvement we can make is touting the educational aspects of everyday games while doing the opposite for educational games. Trip Hawkins’s next act: If You Can, a startup for social emotional learning games. [Slate] - We have barely scratched the surface of the potential of these tools. Here's an example of a game taking a step in the right direction. How a High School Teacher Is 'Gamifying' World News [Mashable] - Holy cow, I love this idea. If I was still in the social studies classroom, I would have loved this. It's important to note that educational gaming doesn't have to mean technology or video games; in this case, it's about gamifying the learning process of a While Side note: I experimented with fantasy sports in the math classroom years ago. Immersive Video Games: The Future of Education? [Mental Floss] - Echoes a lot of what I wrote years ago for the Educational Games Research blog. All the World's a Game: Interactive Map Gives Kids the Travel Bug [Mashable] - I always wanted to get that giant Hammacher Schlemmer world map, the one that would cover most if not all of one wall in your classroom, but this is way, way better. There are moments when I am on stage, performing original music where I feel I am in "the zone." You will never convince me that I am anything more than a mediocre guitarist, singer and songwriter, but there are moments where everything seems to flow so effortlessly, I might as well be Jimi Hendrix up there. The energy in the crowd also seems to rise, at least from my perspective, as I am in "the zone." This is at the heart of Trying Not to Try: The Art and Science of Spontaneity. So when Edward Slingerland discusses wu-wei and de, ancient Chinese ideas about spontaneous, effortless action and a sort of charismatic energy that spurs people to follow, I knew what he was talking about. We identify it commonly in sports in America, such as when Michael Jordan would take over in critical, game-changing situations, or when Peyton Manning carves up an opponent's defense seemingly at will. As Slingerland points out, we can't explain it, precisely because it is something that seems natural. This is not a how-to book, and the suggestions about how to get closer to these states are largely buried under a heavy but interesting layer of Chinese thought, modern science and analogies. As I struggled to glean specific examples and ideas to apply to the classroom, I realized I was ironically trying too hard and losing sense of the central ideas of the book. I would recommend this book as a lens with which to examine both ourselves and our culture, and as a not-so-subtle reminder that there's much to be gained in letting go, not trying so hard, and just going with the flow. For a hardworking teacher trying to get through the last stretch of the spring semester, that's an important lesson. The good folks at Crown Publishers provided the review copy that I am once again giving away to one lucky reader. 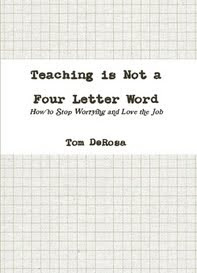 To enter this giveaway, email teachforever@gmail.com with the subject TRYING GIVEAWAY by 11:59pm CST this Wednesday, 3/19/14. 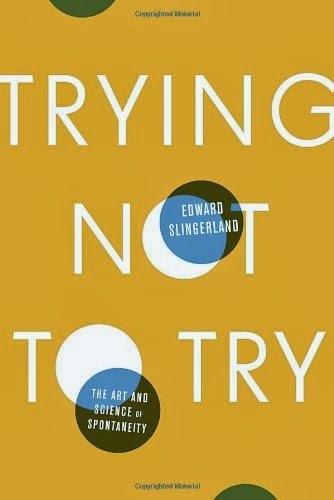 Grab your own copy of Trying Not to Try: The Art and Science of Spontaneity on Amazon.